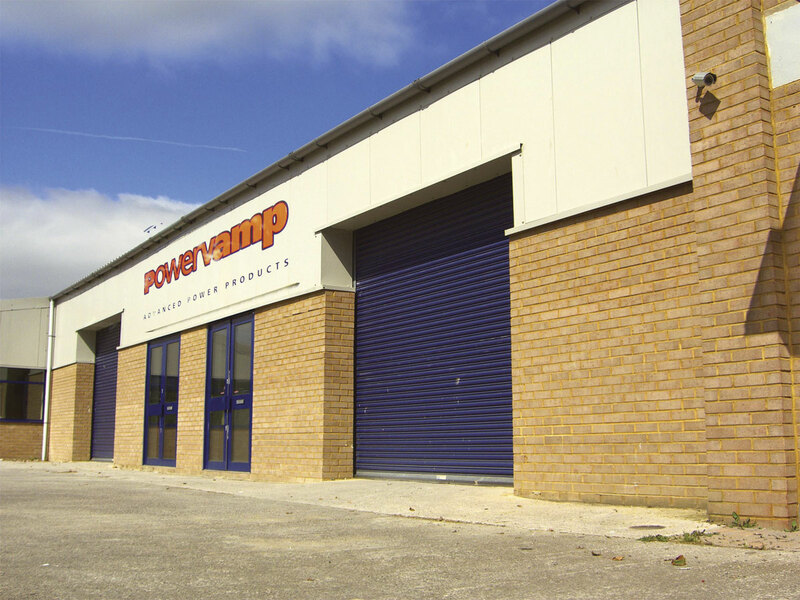 Exciting times are ahead for battery pack specialist, Powervamp, as it introduces a new look for its products in its 20th year in business. Fresh labelling is being applied to the company’s range of jump start packs in an effort to not only bring their image right up to date, but also to make the labels easier to read. I met the company’s Marketing Manager, Ed Roller, at its Weston-super-Mare headquarters, who explained that the branding has been stripped down and redesigned to make it even clearer and to give the power units more visual impact. The design of the new branding is in line with the graphics on Powervamp’s website, sharing similar motifs and colours. Doing so makes the company’s image more complete, creating a more uniform look. In addition to the rebranding, Powervamp has slimmed down its array of products for a more lean range. The company had grown its collection of solutions so extensively over the years that it found there was quite a bit of overlap in specifications across its range. Ed said the leaner selection of products it provides has served to make choosing the right kit easier. With all of these developments in place, Powervamp is embarking on an advertising campaign to drive awareness of the changes. The company is looking to further enhance its presence with a number of high profile marketing programs including mailshots, advertising and its E-Bay site, which it has seen a lot of success and growth in over the years. All of this development comes at a landmark time for Powervamp, as it celebrates its 20th anniversary. The business was established by Ed’s father, Richard Roller, who began by building a range of portable packs for starting cars, buses and trucks. The company is thought to be the first producer of stainless steel, portable battery packs for starting helicopter turbines. It is logical that the business should produce equipment for the helicopter market given Richard’s interest in aviation. He then went on to develop the range into CVs and cars and in the past has even supplied to military special operations units. It is the aeroplane and helicopter sector that has proved its biggest market, with sales for such applications across the globe. Second to this is the automotive sector, which includes bus and coach. 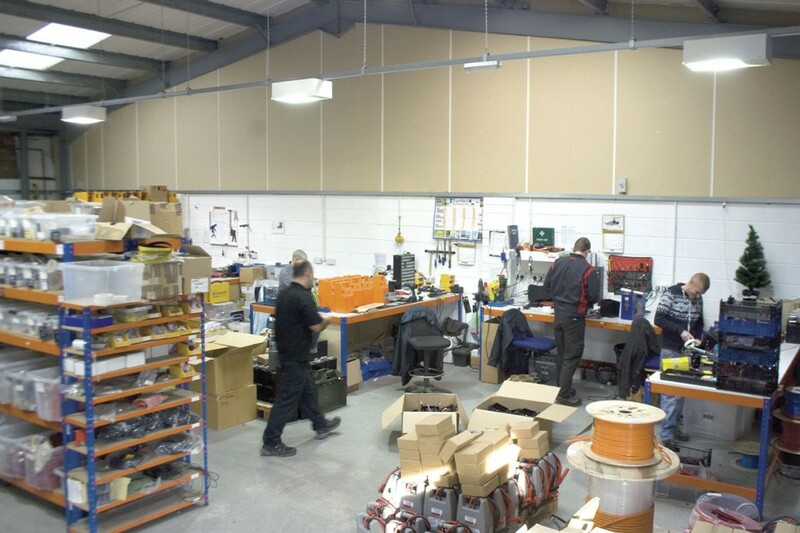 As the company and product range grew, a need to move into a new facility became apparent. This saw it relocate to its current Weston-super-Mare site in 1997. The company has expanded so much since the move that it now inhabits three sites on the same estate. It has grown to employ around 55 staff and even has another arm of its business in Luton. This second part of its operation is called Effekta, previously an independent company that was acquired in 2011. 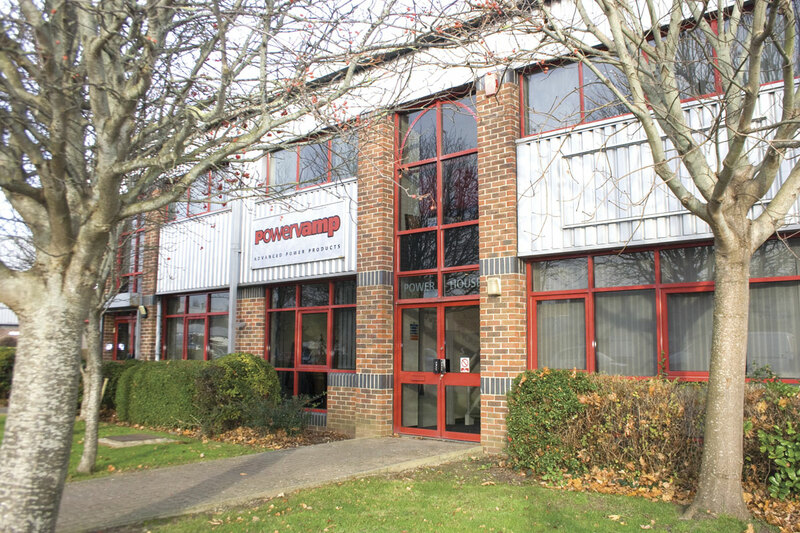 Powervamp used to be one of its customers, purchasing the power systems it produces. Over the years, Ed said the business has gathered an extensive amount of experience and knowledge of its products in the field, with some items supplied almost 20 years ago still in use. Using this knowledge, the company has continued to revise and improve its product range. The packs have become a relatively common sight in workshops and depots across the country. 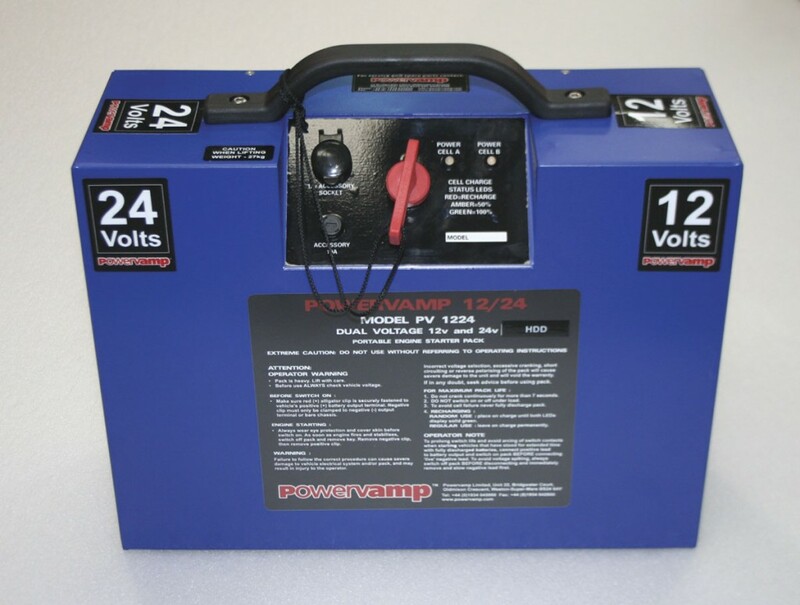 To those that use Powervamp jump-starters, particularly fleet operators, they are ‘something they can’t do without’, according to Ed. 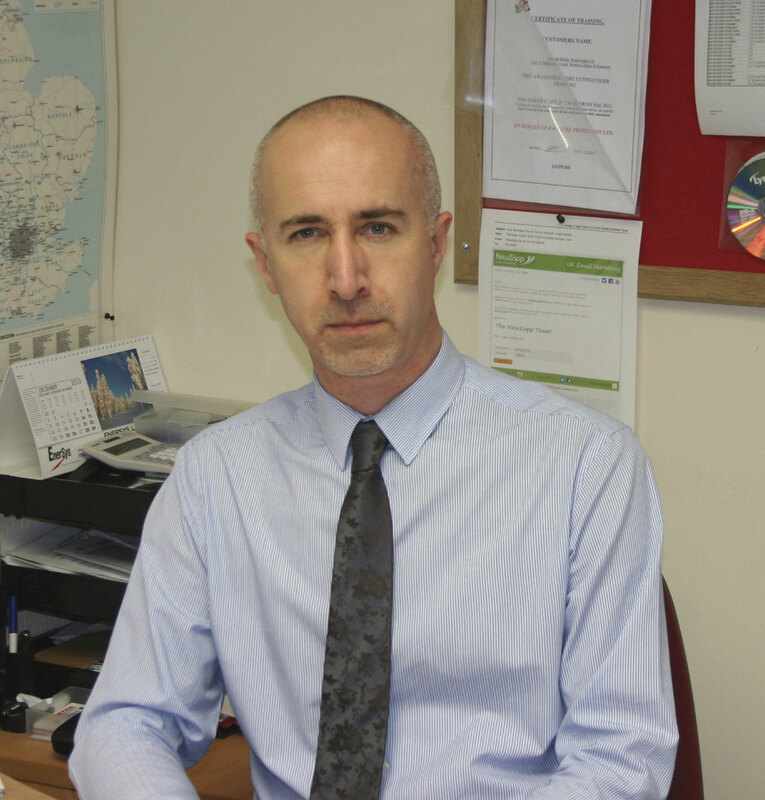 His advice to those encountering a battery problem was: ‘always ascertain what is causing it; is it the tachograph, the lights being left on or is the battery just old? If it’s the latter, then change the battery rather than jump starting it.’ However, as a backup he suggests everyone should have a jump starter, as they can ‘avoid nuisances’. For the bus and coach industry, the main products it sells are its 24v and 12/24v jump starters. 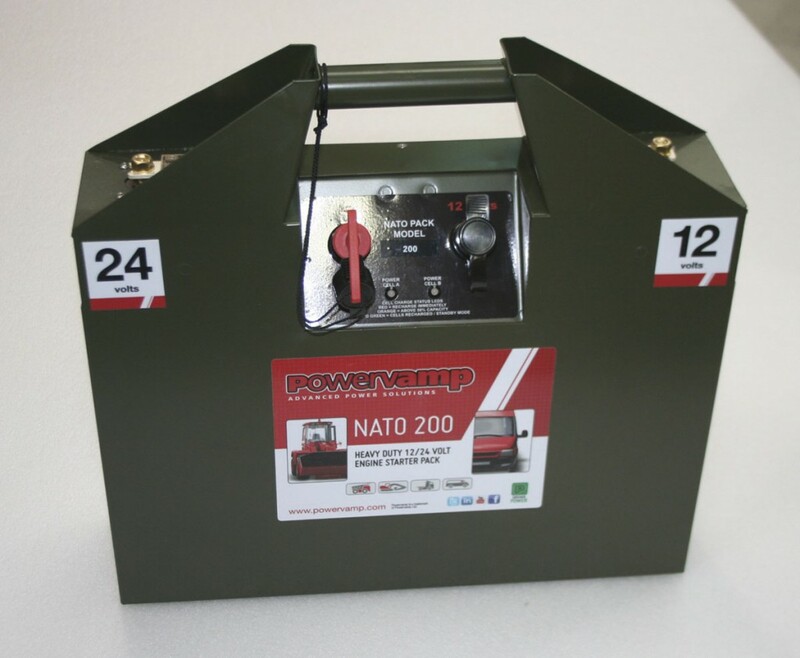 One model it has sold a lot of to PCV fleet operators is the TB1224HDD, which is intended for heavy or regular 24v and 12v vehicle starting. It is designed for fleets comprising of diesels of up to 15-litres. Weighing 27kg, it has a standard recharge time of five hours from 50% charged and should be usable in temperatures from as low as -30degreesC to as hot as 40 degreesC. In terms of the colour and shape of its products, Ed believes Powervamp is the most recognisable on the market, especially the NATO models. The company’s products have been enhanced through the years, with one of the main challenges being their shape. The batteries inside them cannot be shrunk, said Ed, which largely dictates the unit’s form. Despite this, the company has devised ways to make its models as space saving as possible, having done this with the Tower Pack, a relatively recent product it has introduced. Ed said this is one of his best selling products for PCV applications. It is a tall, thin unit, mounted on a trolley and is specifically designed for starting large vehicles, having 12v and 24v charging capabilities. It is especially suitable for use outside the depot, being easily moved around thanks to its wheeled carrying frame. Developments have also come in the form of extra functions. 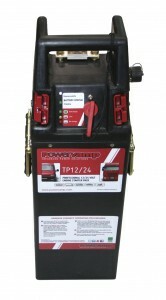 Technology to carry out the absorption of any voltage spikes whilst the jump-starter is in use is a key safety feature that reassures the operator. All automotive products also have an audible reverse polarity warning alarm to safeguard against connecting the pack incorrectly. According to Ed, the fact Powervamp does not ‘import from China and brand as our own’ is something that sets the company apart from others offering similar equipment. Instead, Powervamp has complete control over the product’s quality and design. Commenting on the quality of Powervamp’s products, Ed said, ‘There are cheaper products on the market, but our quality, and reputation, marks us as one of the best.’ With its firm footing in aviation the company uses its skills in developing the high quality and reliable products necessary for this sector to products it manufacturers for other applications.